It’s a common misconception that Cinco de Mayo, literally translated to the fifth of May, is the celebration of Mexican Independence from the Spanish. However, the battle this holiday commemorates was actually with the French and has since morphed into a celebration of Mexican culture and food. 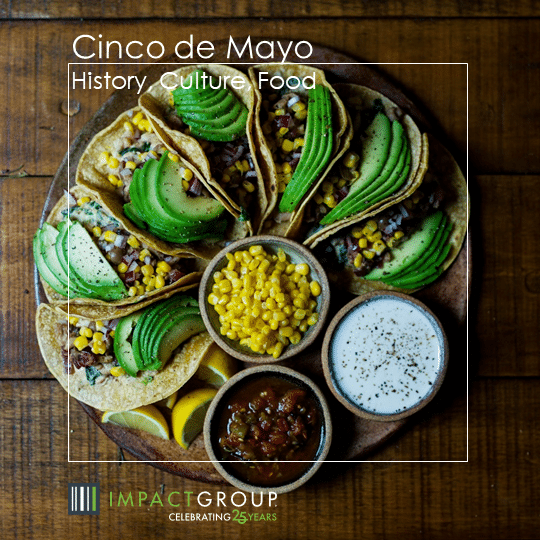 Cinco de Mayo has gradually faded from popularity in Mexico itself and is now much more popular in the U.S. as a celebration of that symbol: the heart of Mexican culture which stood fast against the odds. Today we toast Mexican drinks over Mexican food to the beautiful culture of that resistance, which has become so closely entwined with the melting pot of America. More than 40 percent of consumers buy tortillas, the use of which spans from Mexican food recipes and healthy wraps to quick snacks. Perhaps more astonishing is the projected consumption of 2 billion pounds of Mexican grown avocados during fiscal 2018-2019! Cinco de Mayo plays a significant role in these figures; it is projected that 81 million avocados will be consumed this May 5 alone. Avocados make guacamole, and that goes great with the estimated 16.6 million pounds of tortilla chips and over 25 million pounds of salsas and dips projected to be consumed on Cinco de Mayo. This sort of purchase power generates roughly $98 million in tortilla chips and $22 million in salsa sales, not to mention $462,000 worth of tortilla shells and $130,000 worth of fajita seasoning. These items see a movement of 13 to 19 percent above typical week sales, including fresh produce used for Mexican food recipes. So, let’s raise our glasses to the more than 12.3 million cases of tequila and $658 million worth of beer projected to sell this Cinco de Mayo and toast the beautiful culture, music, food and libations shared with us by our Mexican friends and neighbors.